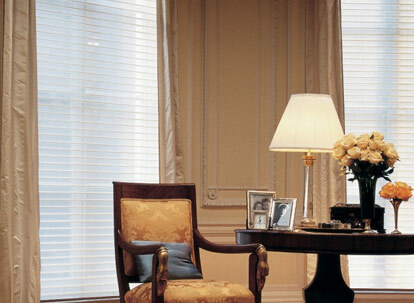 Horizontal shadings unite draperies, shades and blinds into one exquisite and stylish design. 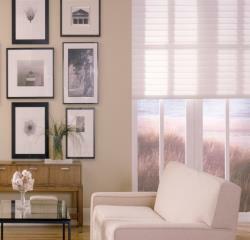 These sophisticated shades are constructed of soft fabric vanes suspended between sheer facings. Not only are they beautiful, but these smart shadings roll up and disappear into a sleek headrail for an unobstructed view. Nulite Premium 3" Light Filtering Sheer Horizontal shadings unite draperies, shades and blinds into one exquisite and stylish design. These Nulite Premium sheer shades are constructed of 3" light filtering fabric that, when opened, floats between a sheer material. Not only are they beautiful, but these smart shadings roll up and disappear into a sleek headrail for an unobstructed view. These horizontal shades also come with a lifetime warranty.